« When Hopalong Cassidy came to town. 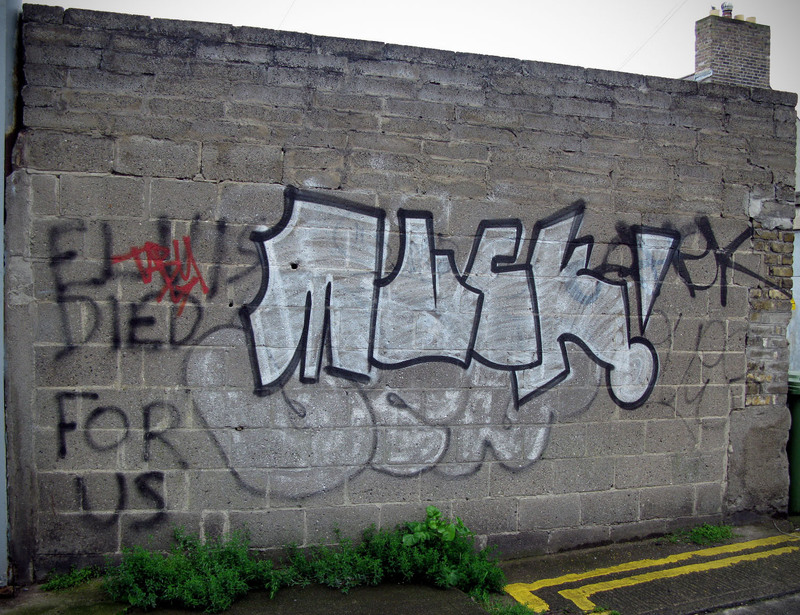 Someone said of the last bunch of photo’s I stuck up that Dublin is starting to look like a proper shithole… Its not- its really not, its just that for whatever reason, I like taking pictures of graffiti, rundown buildings and, well, real Dublin. For any piece of eight or ten images, its possible to have taken fifty or sixty shots on my not very fancy camera. Subsequently, I have hundreds of shots of birds, trees, sunshine and flowers. 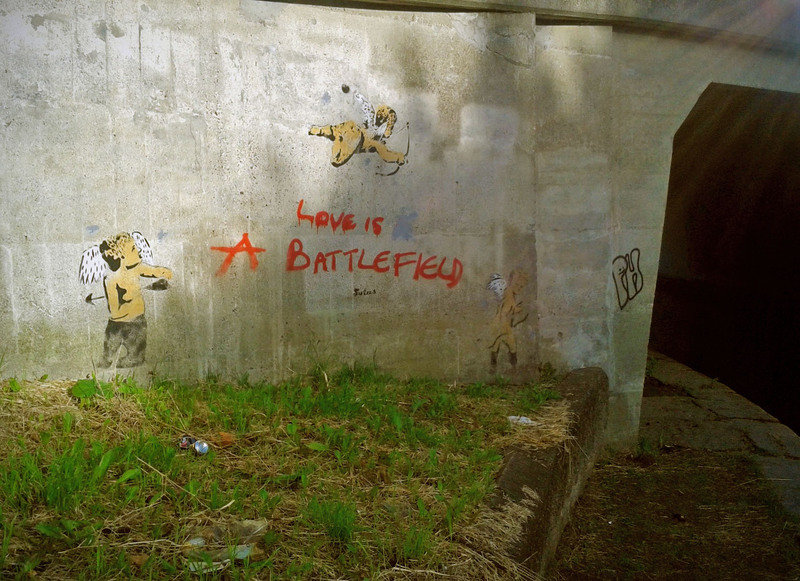 But I still prefer the grittier side of things! 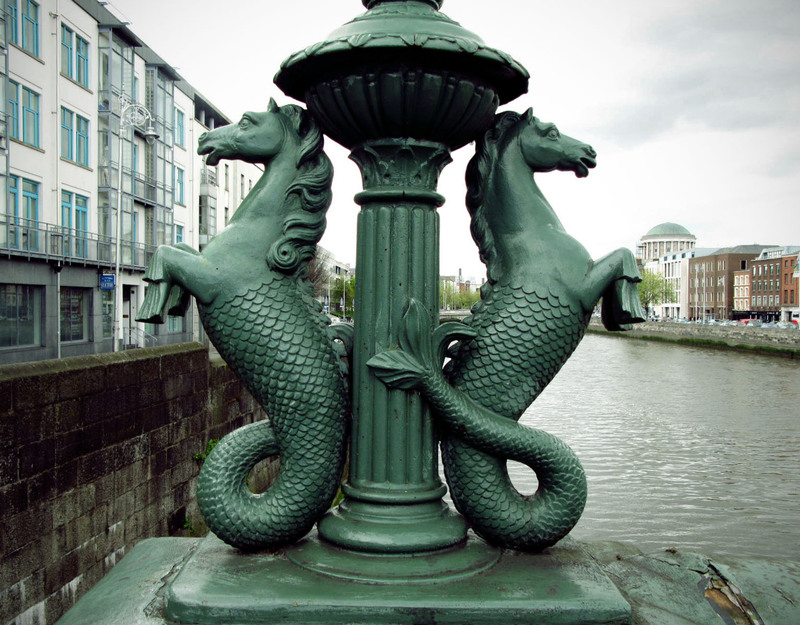 The Seahorses of Grattan Bridge. JayCarax has done some great work on the history of the Grattan statue on College Green. The statue is, of course, surrounded by lamps bearing ornate seahorses. Grattan Bridge bears the same idols on its lamps. I’ve recently moved gaff, so my cycle to work takes me down along the canal, from Rathmines to Inchicore. For three months, I’ve been cycling past this spot and never noticed this piece on the side of the bridge at Herberton Road until this week. The work of Solus, I think its a belter! Walking around with the camera on the Southside (booo hissssss) its easy to get lost; I’m more used to the Northside and could probably find my way home in the drunkest of situations if you dropped me anywhere. it might take a while, but I’d get there. So walking past the private lawn tennis clubs and electronic gates of the plush south Dublin suburbs, I didn’t know where I was. Came across this though, didn’t cop the Maser tag until I got home. A pint to the person who can tell where it is. 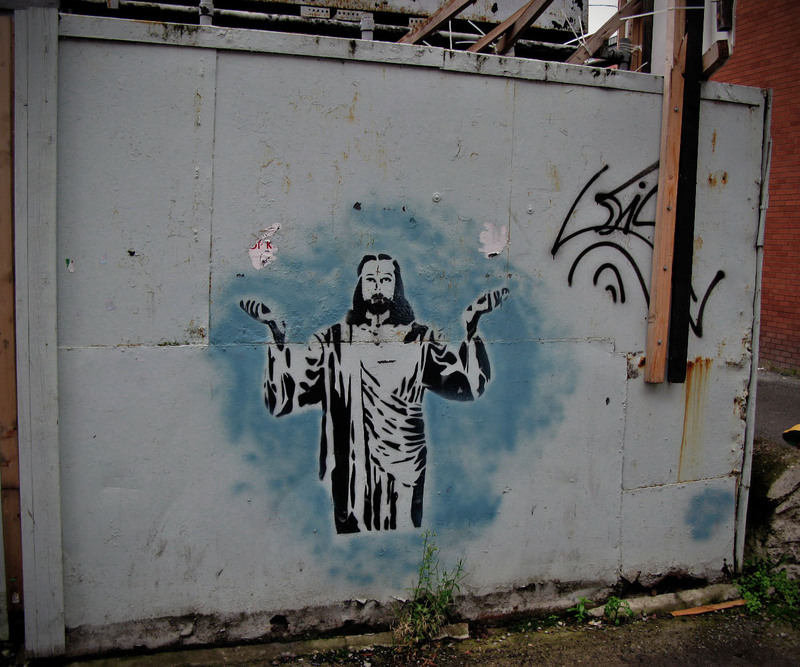 Someone took the time to stick up a stencil of one of the BeeGees on Blackberry Lane, Rathmines. A lovely gesture, I thought. I love this lane, off Thomas Street in the Liberties for whatever reason; a lot of the lads who do the horse and carriage rides from Stephen’s Green live around the area, and there have been horses kept in stables off the lane for decades. 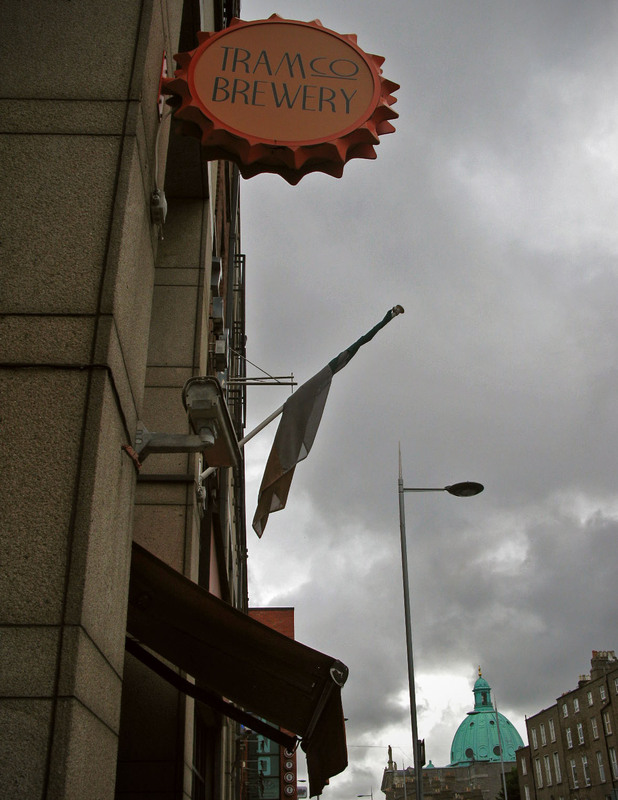 The tri- colour outside TramCo., Rathmines. A fetching shade of baby poo green, grey and brown. “For what died the sons of Roisin” and all that. “Elvis died for us.” They love the music around Rathmines, first the BeeGees, now Elvis. Good stuff all the same. 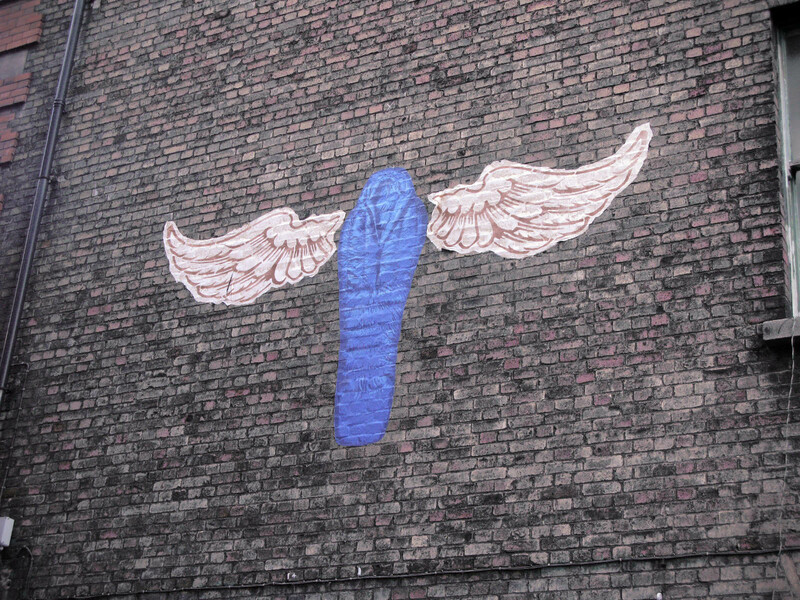 Lastly for this shorter than normal round of images, and another piece of graffiti; this time on Andrew’s Lane. 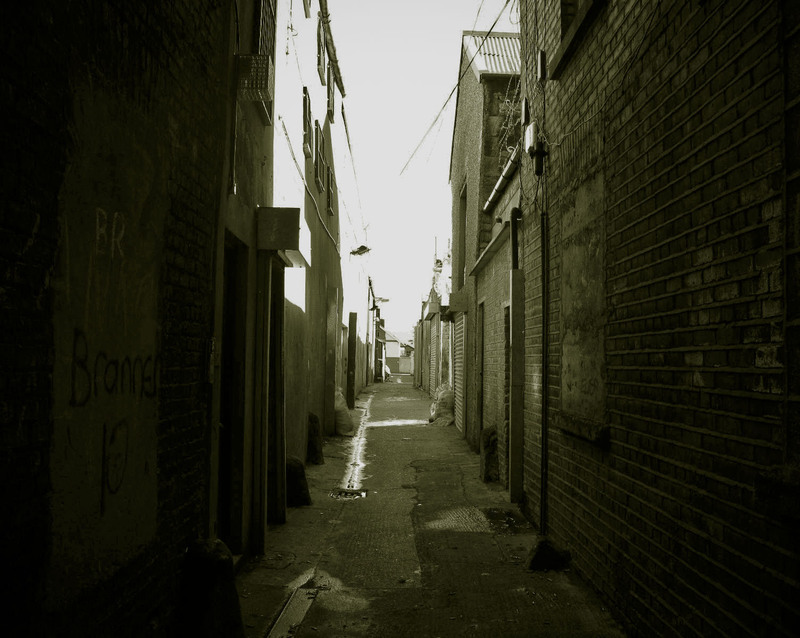 There are approximately 5, 000 people living rough in Ireland at any given time, the majority in Dublin. This horse, who goes by the name of Rambo, is in the same stable. love the blog, keep up the pics. 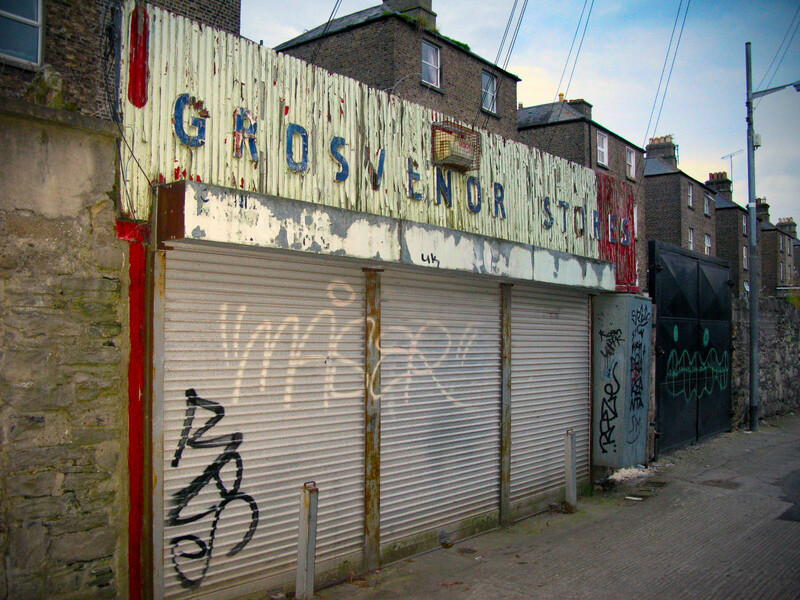 Grosvenor Stores, looks like between Ranelagh and Rathmines, but I can’t picture it exactly. I lived on Grosvenor Square in the late 70’s, used to buy my groceries there. This is a much older photo of Molyneux Yard. It hasn’t changed much. I am looking for anyone that has any info on Brennan’s Barbour Shop in Rathmine’s.